In the house of Helios, god of the sun and mightiest of the Titans, a daughter is born. But Circe is a strange child—not powerful, like her father, nor viciously alluring like her mother. Turning to the world of mortals for companionship, she discovers that she does possess power—the power of witchcraft, which can transform rivals into monsters and menace the gods themselves. Threatened, Zeus banishes her to a deserted island, where she hones her occult craft, tames wild beasts and crosses paths with many of the most famous figures in all of mythology, including the Minotaur, Daedalus and his doomed son Icarus, the murderous Medea, and, of course, wily Odysseus. But there is danger, too, for a woman who stands alone, and Circe unwittingly draws the wrath of both men and gods, ultimately finding herself pitted against one of the most terrifying and vengeful of the Olympians. To protect what she loves most, Circe must summon all her strength and choose, once and for all, whether she belongs with the gods she is born from, or the mortals she has come to love. I have been savouring this book for the past seven days. If I have not been active on here – at all, really – it’s because I started my second year of university and also because I didn’t want to be reading anything other than CIRCE (and my textbooks, ugh). I thought THE SONG OF ACHILLES was amazing, but it’s nothing compared to this story. In both cases, you do not have to be familiar with the Greek gods and goddesses or mythology in general. I only had a basic understanding of it, and yet the author made it very easy for the reader to follow the narration. 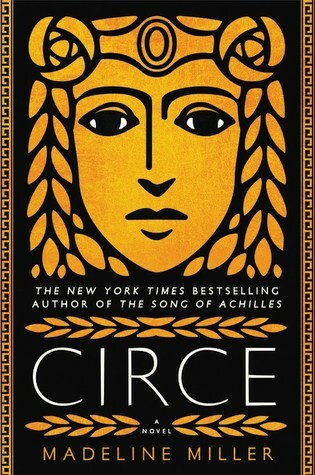 I didn’t even know who Circe was prior to reading this book or that such a woman even existed. You hear of Zeus, Aphrodite, Poseidon and Athena all the time, but do you hear about nymphs often? No, you do not. They are described as extremely beautiful on the outside and extremely ugly on the inside. They are shallow, jealous, uncompassionate and manipulative. Circe is a nymph. But she is not particularly good-looking and her magic nonexistent. At least, that’s what everyone thinks. This shows that you should never underestimate the underdogs. The more time Circe spends in the company of humans, the more she learns. Oh, she learns a few things from gods and goddesses too, but she despises most deities, and is conflicted about her own immortality. Her magic, though, she explores. Mostly in time of need, but the more she does, the more powerful she becomes. This is not one of those stories that end at the beginning. What I mean by that is that a lot happens between the first and last chapters. It progresses in an interesting way, because Circe spends most of her life in one single location, and yet people come to her and she goes to them as well. It’s then character-driven and oh so beautifully-written. The first person POV worked incredibly well and made me connect with Circe in so many ways. I was rooting for her and I was right to do so. Please read it.